After a wonderful cooking class at La Cuisine Paris where I learned to make baguettes, I headed over to the Louvre to meet my girlfriend Kasia of Love in the City of Lights and new friend Daisy De Plume. I was excited to meet Daisy in person and experience her creation, THATLou. I introduced you to Daisy when she participated in my Passion for Paris series as well as sharing THATLou in a French Friday, but I had yet to experience a treasure hunt on my own. I was so excited when Kasia invited me along to participate on one with her. I have been to the Orsay museum numerous times, but I had only been to the Louvre once, in 1989 while visiting Paris with my family. I saw the Mona Lisa and a few other highlights, but all I remember is how crowded it was and how long the lines were. 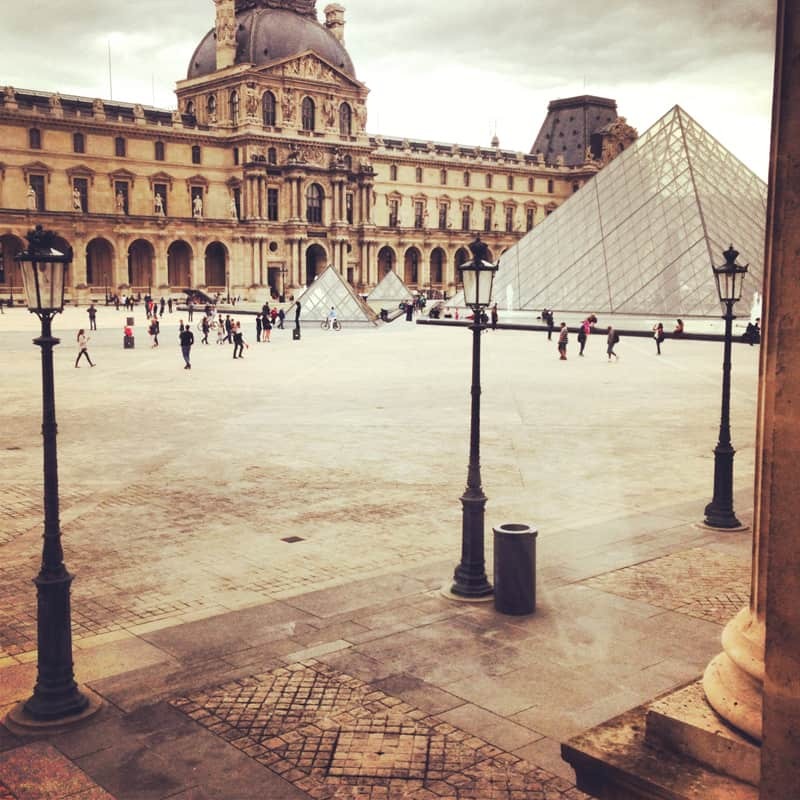 After having just visited Orsay and having the pleasure of seeing it from a different perspective, I was excited to visit the Louvre the same way. For the start of my treasure hunt we met in the courtyard by the statue of Bernini equestrian sculpture of Louis XIV directly across from the I.M. Pei glass triangle. There were 6 of us that would be joining the hunt – Kasia and myself and a group of four from Los Angeles. Daisy explained the layout of the museum and how to go about our treasure hunt, not giving exact details but enough tips to head us in the right direction – after all the two teams were in competition as to how many points we would earn by collecting photos of objects of art that were on our list. Being that it had been more that a year since Kasia and I had seen each other we spent more time catching up than strategizing. We walked around the various areas of the Louvre with no real rhyme or reason but apparently, we had the treasure hunt gods on our side because we kept running into items on our list! Every item is assigned a different point value depending on the difficulty in finding it, so when we ran across high-value objects we were thrilled. We had to take a photo standing in front of the object as proof that we had found it, Kasia was the photographer so I ended up in all the shots! Between spurts of conversation I came to the realization that the Louvre is quite beautiful. Beautiful rooms to be discovered all while avoiding the Mona Lisa, it was great! Unlike the Orsay you can pictures everywhere, which was very refreshing. And I loved how empty it seemed even though I know there were a lot of people inside. Daisy is extremely organized and the materials are easy to follow and learn from and I quite enjoyed myself. I got to discover the museum in a way I had not thought about doing before. I would definitely do another hunt to be exposed to other parts of the museum in the same fashion. It is unique and entertaining. My favorite part of the museum during the afternoon wasn’t even part of the hunt, although the areas that the hunt took us too were all interesting as well! In between objects, Kasia and I somehow ended up in Napolean III’s recreated apartments which were incredible and it is something I want to return to see more of. I could not have imagined spending the afternoon in a better way, catching up with a girlfriend, exploring one of the world’s finest museums in a unique way…and winning! Despite not having a real strategy, our team of two beat the lovely group of four from Los Angeles made up of two friends and their two daughters. I would like to tell you their names, but I don’t remember them however I do remember their YouTube channels! 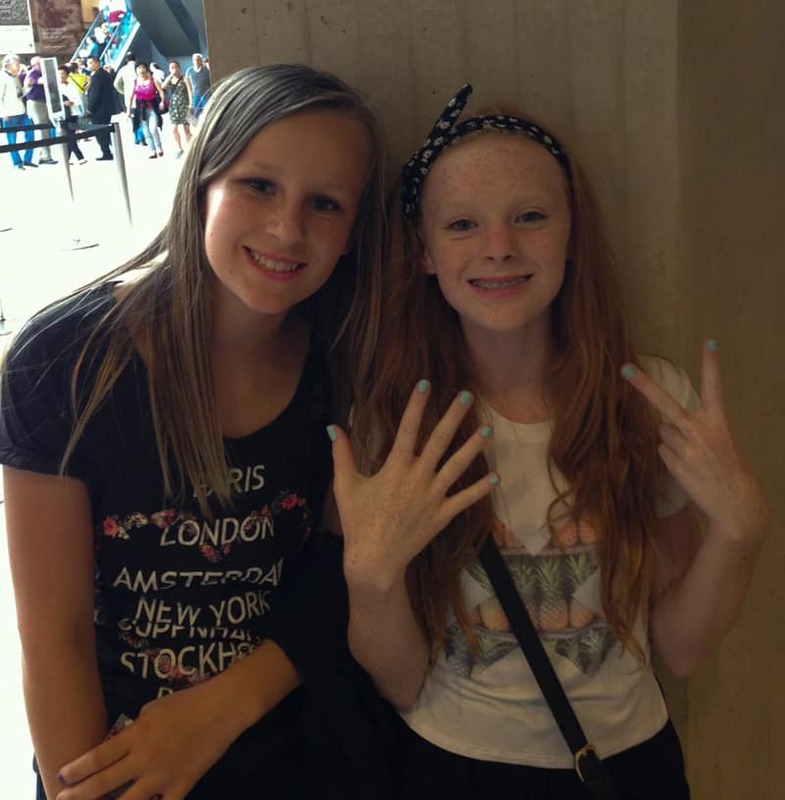 These two girls ages 11/12 were so adorable and digitally tuned in, it was impressive! If you are interested check them out at ElfBeauty07 and BeautyByKylieTV! Sorry for beating you girls! 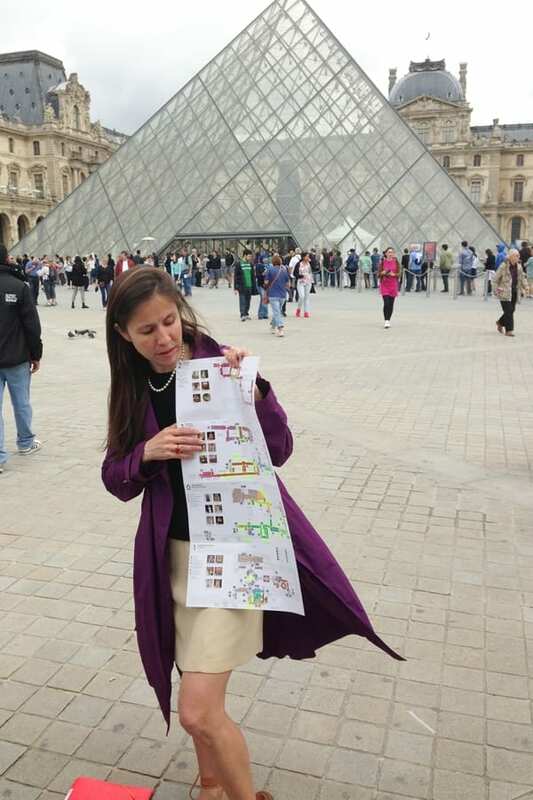 Don’t visit the Louvre the traditional way, do a treasure hunt! You’ll have so much more fun. Bonus…you get to skip the lines and walk right through, Daisy has the tickets you need to get in and you can go through the priority route. And don’t forget to have fun! The hunts can be competitive depending on who your group is, but you’ll have so much fun exploring the museum in a new light in the end it won’t matter who wins. How about you? Have you done a treasure hunt? Visited the Louvre? What do you think about combining the two? This is a great idea… museums and art galleries like this are often beautiful in and of themselves, nevermind battling the crowds to see one tiny painting like the Mona Lisa (which was cool, but pretty anticlimactic when I saw it)… it’s worth doing something like you did to see the place from a unique angle and different perspective. There is so much to be appreciated in these buildings. And I love Daisy’s coat! @Colleen, completely agree. Doing it all is too overwhelming. Seeing what you are “supposed” to see is often disappointing. Having an adventure, well that is just plain fun! It is a good idea for sure and I’ll have to participate when I go. It is hard to keep my family engaged at the museum as it is but this would be entertainment for everyone. @Murissa, it absolutely 100% is a fantastic way to have fun at a museum! Daisy is the best and has something for everyone! @Colleen, Yes, I can understand the disappointment at the Mona Lisa. She is beautiful, but how can you tell with all those people? Henri Loyrette, former Director of the museum, said that 80% of their nearly 9 million visitors annually go JUST to see her. Such a crime when the place is brimming with gems. And thanks – it’s my fave trench coat! Bright and in your face with magenta! @Murissa, Thanks! It’s actually a good way to keep kid’s attention. Typically families of four split up one parent and kid against the other parent and kid, although I couple families against one another too, if they ask for friendly competition. Definitely look me up next you’re in Paris! I love your Wanderfull blog’s name, by the way! How fun! I visited the Louvre back in 2004(?) during my only trip to Paris. I only had a day, and it was a cold, rainy one at that, so we decided hiding out in the Louvre for a few hours would be a great way to warm up. And it was! I don’t remember there being many lines that day except to initially get inside and then the crowd in front of the Mona Lisa. Other than that, I was fascinated by the HUGE paintings and also just the size of the building itself. You could probably spend weeks inside and not see everything! @Katie, you could 80,000 square feet, it would take a very log time to see everything! @Katie, Indeed! If you took the floor plan and made it into a straight line it would be 8 straight miles. Pretty crazy! My husband and I do a sweeping monthly surveillance of all of the treasure from all of the 12 hunts I’ve built (to see what’s out on loan, what rooms are closed for renovation, etc) and it takes two of us a full 6 hours – and we’re not even looking at the art, just checking things off! @Kasia, your presence definitely made the experience! Your Mom is adorable and would have only added to our advantage! I’m guilty of the same thing, having visited the Louvre once and being so overwhelmed with the crowds that we only saw the Mona Lisa and a few other highlights. I can’t wait to go back and experience THATLou! @Jessica, I highly guarantee it, it is such a blast! Love this…the Louvre is priceless. @Charu, it is, and finding new ways to explore it is extraordinary! This is a trip I would love to take. So fantastic. The Louvre what a really spectacular museum. Sounds fun, and such detail in the Art Work! Thanks for the Post, and the Picture’s, I hope to visit there some Day. Paris is my dream destination! @Maribel, hope you get there one day! @Dana, oh it absolutely is! Museums can get so boring, this is like an adventure! @Angelic, how fun! You should definitely try THATLou but there is also now THATRue where you can do adventures in the streets of Paris! I want to do a treasure hunt. The last picture of the plaza is gorgeous!! What a great idea! I have a tendency to rush through museums, so I think doing something like this would help me slow down and appreciate it more. @Emily, it is a whole different experience to do it this way! You’d love it! Oh I love the Louvre. I would love to go back and seeing your pictures makes me want to. That sounds like an amazing day! I want to go there and have an adventure. This is awesome! I’ve always wanted to travel here, looks like you had a great time! @Jess, yes and if you get to Paris it is such a unique way to visit the Louvre! Andi, you have the most amazing trips! 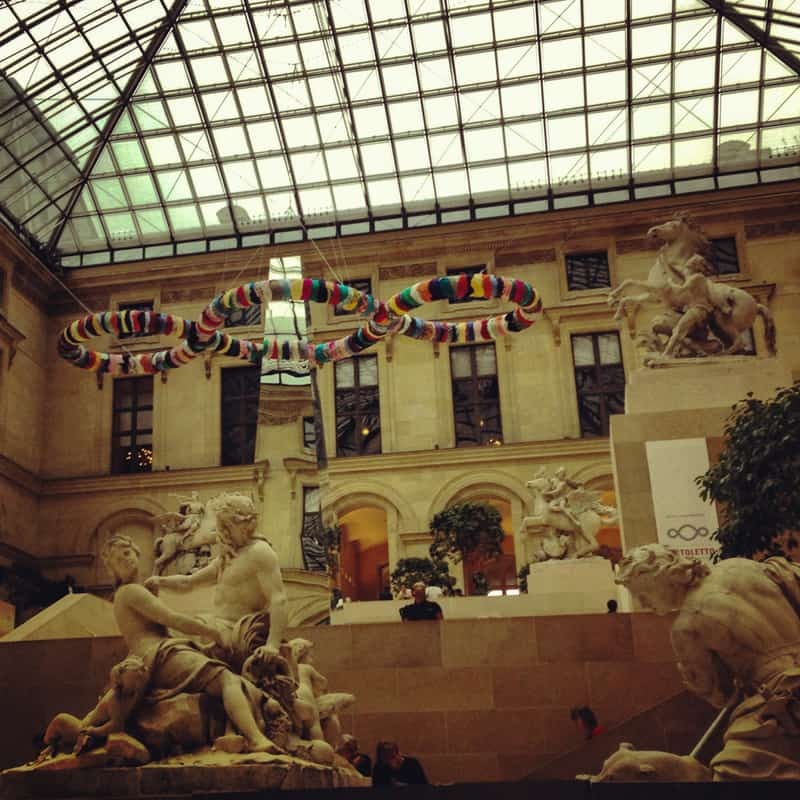 I miss the Louvre and a treasure hunt is such a great way to explore it! Definitely have to try it whenever I return! Such a fun idea! This sounds like a great way to spend an afternoon. I’ll have to check it out if I find myself in Paris! @Caitlin, definitely do, it is so fun! 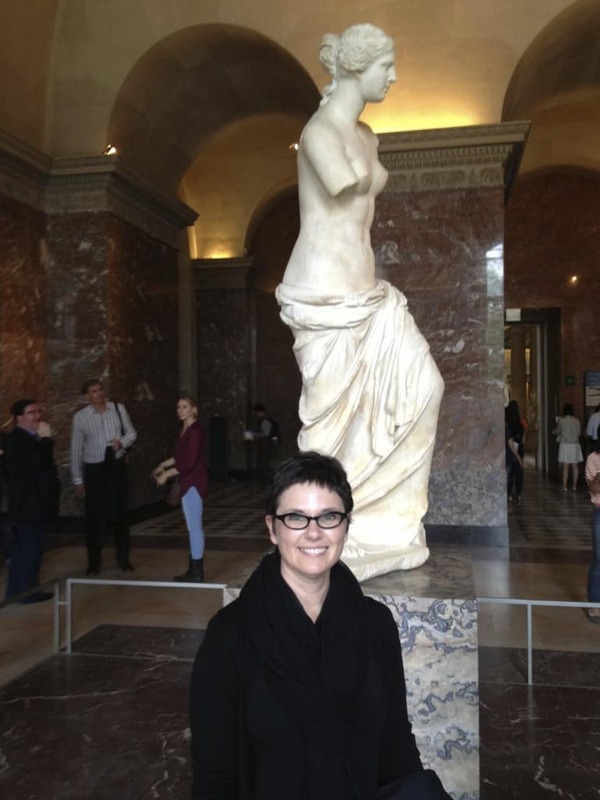 One day I will make it to the Louvre… looks amazing! I can’t believe I went to Paris and didn’t go to the Lourve. I’ll be going again this Summer and won’t miss it! @Candace, definitely check out THATLou! Daisy also has hunts in the Orsay and on the streets of Paris. I would love to go to the Louvre! It’s on my list of places to go. Doing a treasure hunt there sounds like a really great way to see the place and have extra fun. Thanks for the idea! @Erin, it is a total blast! Make sure you check out THATLou if you go! The idea of traveling to Paris has always romanced me. Looking at your pictures, I can say I am even more inspired to actually get there. I’ve never been outside the country before. It must have been amazing to see the Louvre! @Julia, it is my favorite city in the world and I fall in love with it over and over again. I hope you get there one day and feel the same!